Cumberland Farms: FREE Iced Coffee! 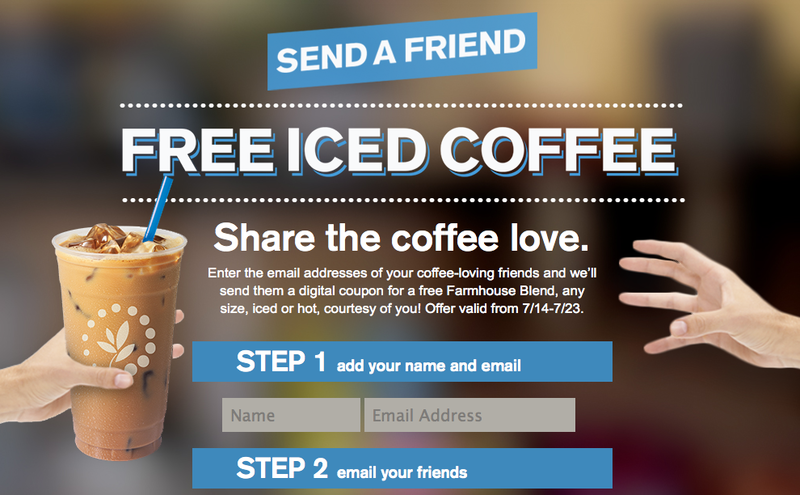 Enter your email to score a FREE Farmhouse Blend Coffee, any size, iced or hot from Cumberland Farms. The email under step 2 you enter will receive a coupon for a free coffee and you will too via your own email you enter under step 1. FYI - you only need to enter 1 email under step 2 and do not need to enter your phone #. *The coupon said I could print it ten times!